The story of Capricorn started with a young Phil Walden booking bands for surrounding fraternity parties. With an incredible passion for music, Walden really made it big when he discovered a band called Pat Tea Cake and the Mighty Panthers featuring Johnny Jenkins on guitar and Otis Redding as vocalist. As Walden and Redding grew closer, the idea of a record label flourished in their minds. Together they launched Redwal Music – Red for Redding and Wal for Walden. With the music label successfully under their belt, they continued dreaming of what their future might hold. A few years later, in 1969, Capricorn Studios was founded. Located in Macon, Georgia, Capricorn, was the home to many music legends including, the Marshall Tucker Band, the Outlaws, Wet Willie, and many others. Capricorn Studios is frequently associated with the Allman Brothers band because of the immense amount of time the brothers spent there working on three of their albums. Greg Allman and Dickey Bett both went on to produce solo albums at Capricorn in 1973 and 1974 as well. The Allman Brothers as well as the other musical talents that recorded at Capricorn Studios are why many now refer to Macon as the birthplace of Southern rock. This studio had such an impact on American culture by creating an entirely new genre of music. The artists that recorded at Capricorn combined influences from blues, soul, rock and country – which we now call Southern rock. While this studio significantly shaped Macon history, they unfortunately closed their doors in 1979 due to financial troubles. 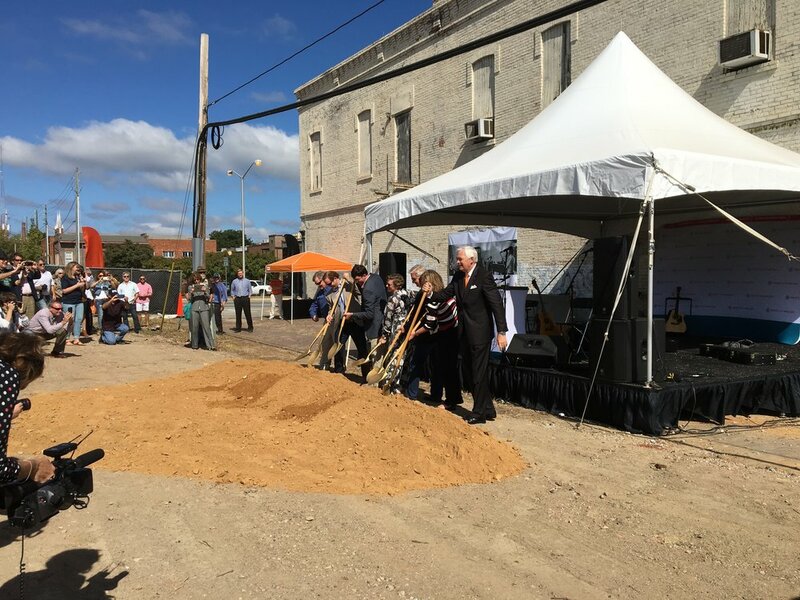 In 2015, Mercer University, NewTown Macon, Sierra Development and Southern Pine Plantations announced their plans to restore the famous Capricorn Studios. The Mercer Music program plans to return the studio back into functioning conditions including features such as recording studios, spaces for small concerts, as well as, educational programs through Mercer’s Townsend School of Music. Capricorn Studios will also showcase the music history that was made here through static exhibits as well as interactive digital kiosks. Several sources say this exhibit will be up and running by December 2019 just in time for Capricorn Studios 50th anniversary. Here in the South, we have a very brief Fall so we really try to soak in all that the season has to offer. We break out our boots and scarves, grab our favorite latte, and marvel at the colors nature has displayed for us. During these few weeks of Autumn, one of the most spectacular events takes place. The Gingko tree, which lines our Macon sidewalks and neighborhoods we frequent, gives its glowing yellow show. Almost overnight, the leaves turn from green to a vibrant yellow leaving us Maconites awestruck by their beauty. The tree then waits for the first frost of the season and at once loses all of their beautiful leaves leaving a blanket of yellow underneath. The Ginkgo tree first originated in Southeast Asia nearly 200 million years ago. These glowing beauties were said to have been around when Dinosaurs were still present making this tree a living fossil. You can find Gingko’s thriving anywhere and in practically any condition – drought, poor soil, lack of space, etc. These Gingko trees are very near and dear to my heart as they line the streets of my very own neighborhood. I love being able to watch the series of events when the transition into Autumn finally hits. Hopefully the Fall season can teach all of us that change can be a very beautiful thing.